Emilia Clarke does a lot of eyebrow acting in Me Before You. As Louisa Clark, a whimsically dressed young woman who accepts a job as caretaker of a quadriplegic young man to help with her family’s dire finances, Clarke is a fair distance away from dragons or Terminators. To convey her open-hearted, high-spirited pluck, she raises her eyebrows until they’re practically smashed together, pushing them up and down her forehead to oscillate between manic delight and abashed squirms. Will Traynor (Sam Claflin), the quadriplegic young man, regards her with the sardonic composure of someone secretly falling in love. These are not good performances, exactly. Clarke is endearing, but verges on mugging. Claflin is at his best when Will gives in to his competitive urges, which happens exactly once. While at dinner with Louisa’s family and ridiculously one-note obstacle of a boyfriend Patrick (Matthew Lewis), who neglects her in favor of obsessive exercise, Claflin displays a flash of the charming smarm he employed as Finnick Odair in the Hunger Games movies. The rest of the time, Will mostly either broods or smiles sardonically as Clarke looks frazzled, then surprised, then frazzled again. But Clarke and Claflin still command attention, not just because there are few characters in Me Before You and fewer with any depth. The movie holds so little visual interest than its leads’ faces are almost the entire show. Director Thea Sharrock manages exactly one strikingly beautiful shot: The camera stays fixed on a close-up of Louisa and Will as they go for a dance-floor spin in his wheelchair, her sitting on his lap, the rest of the party spinning in a blur behind them. That a weepy romance should depend heavily on its stars is not a surprise. But it also depends on those stars playing characters who make a convincing, engaging potential couple. These two feel more like a computer match, complementing each other technically but not practically. Louisa is eternally optimistic, but has been limited in her options by her family’s financial situation, necessitating that she stay in her hometown and contribute. Will feels robbed of his earlier vitality—he was injured two years ago in an accident hastily dramatized in the film’s opening scene—but perks up enough to nudge Louisa in the direction of subtitled films and Mozart concerts. This is supposed to be romantic, but it seems like Will is clearing a very low bar set by Patrick—or more accurately, by the filmmakers (including screenwriter Jojo Moyes, adapting her own novel), who can’t conceive of a single moment where Patrick is more than mildly polite to Louisa but expect the audience to buy him as her boyfriend of seven years. Will’s slight condescension only looks attractive by comparison. The movie also reveals relatively early that Will is seriously considering an assisted-suicide procedure, and has agreed to think on it for six months to appease his posh, stricken parents (Janet McTeer and Charles Dance). This plot point has angered some disability activists, but if they just sit down and watch the movie, they might get bored and fall asleep. If they were still outraged upon waking, it would be, frankly, kind of understandable. The movie deserves some credit for not demonizing assisted suicide, but makes Will so unyielding that both the issue and the character become static. It’s not an uncommon quality in a real life, but it doesn’t make for much of a movie. 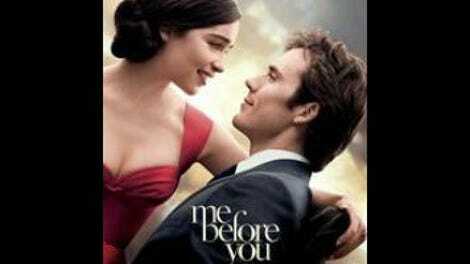 Me Before You is a first-level tearjerker, the kind that expects people to cry when the characters are sad, not because of any unspoken meaning underneath. It just goes through the motions and pipes in contemplative music, because that’s what these movies do.